Start learning the basic Kettlebell exercises with the Swing. It was in 2010 when the use of Kettlebell emerged. Nowadays, it seems that every trainer is incorporating them in their workouts. And whether you want to have a body of a MMA athlete, or you want another work out routine to try, you can start doing the Kettlebell exercise. But you should start with the swing. Why? Because the Kettlebell Swing burns fats, builds strength and improves cardiovascular fitness. However, most practitioners do it wrong. 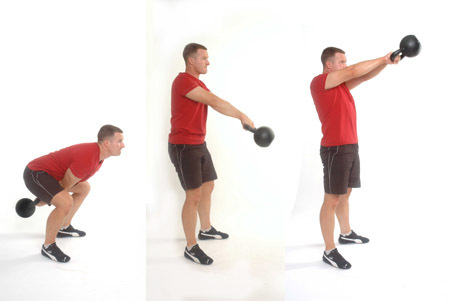 So to avoid that, check out Men’s Health Kettlebell Basics video by Steve Cotter below.